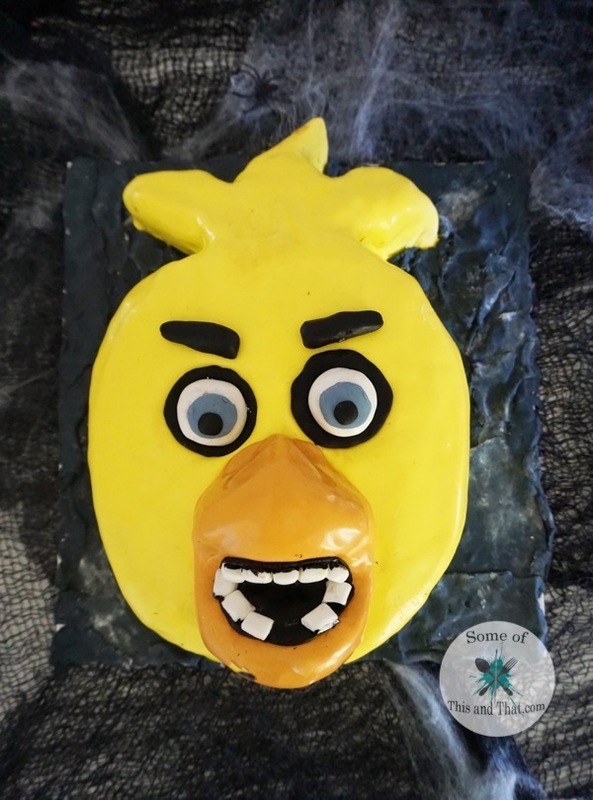 I have used fondant on more than one occasion, and while it is not my favorite thing to use, or eat, it is exactly what was needed to make the cake. I am a complete beginner at making these types of cakes, so if I can do it, pretty much anyone can. All it really takes is some patients and very little skill. You can make your own fondant, but since I usually just peel it off anyway, I opted to use Wilton fondant. I purchased plain white fondant and than used gel food coloring to color each shade that I needed. 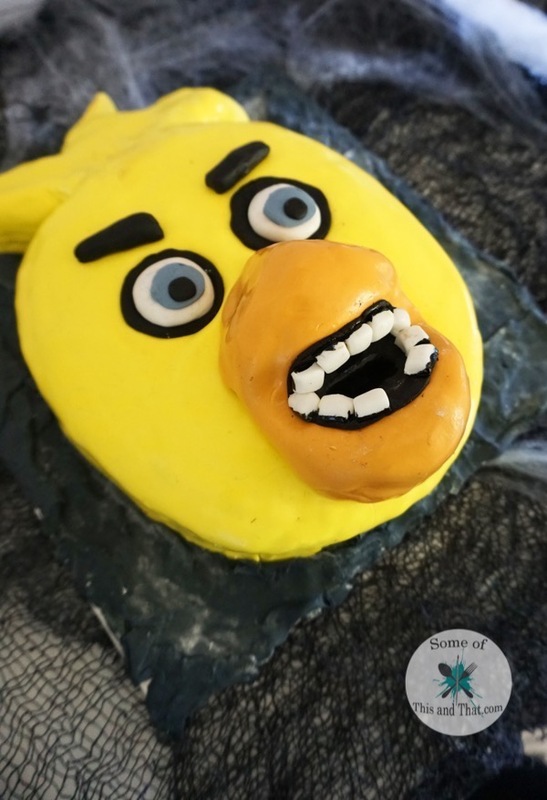 The video above is a step by step tutorial on how to make a Five Nights at Freddy’s Chica cake. I walk you through the entire process and give you tips on what NOT to do when making this type of cake. You really do not even need any special tools, I just used tools that I already had on hand. I am sure the fancy fondant tools would have made the job a little easier, but sometimes you just have to work with what you have on hand. Do you play Five Nights at Freddy’s? If so, what is your favorite character in the game? Be sure to follow us on Pinterest to see more fun and nerdy crafts! Also, be sure to check out some of the other sweet treats we have made in the past!